Our experts boiler technicians at boiler services Bettystown are available 24/7-365 days a year to help you. 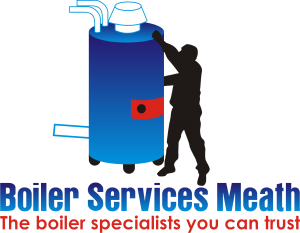 we are part of the well known and highly respected boiler services Meath group. Our fully trained and qualified plumbing staff are R.G.I. registered and specialize in the niche of central heating and boilers. Our parent company has been successfully serving the people of Bettystown and the county of Meath for over 30 years now. During this period we have come across literally thousands of makes and models of domestic, commercial and industrial boilers so needless to say we posses the expertise and experience to deal with any issues you may have. As we always call staff on call we can always help if your boiler or central heating packs up. We don’t leave our clients in the cold in winter time. If you have a problem regardless of the time of day or night just call us. Firstly we will have a senior boiler services technician answering the phone. They will offer advice to help with the problem or solve it where possible. If you need a boiler services Bettystown engineer urgently we can dispatch one immediately. They can normally be at your premises in under an hour day or night. Our staff take great pride in their work ensuring it is to the highest standards. We know the quality so have no problem in providing a 1 year parts and labor guarantee on all of our completed work. For our customers peace of mind we like them to know we are comprehensively insured for both professional and public indemnity as every respectable company should be. Depending on the make and model our boiler service rates start at €55 rising to €80. We are happy to provide free quotes. We provide great flexibility at boiler services Bettystown. If you need a boiler service we are happy to work around your schedule. We can arrabge appointments in the evening, early mornings or weekends for no extra charge. For boiler repair, boiler installations oil or gas boiler servicing in fact anything to do with you heating system call the experts for advice or a free quote today on 046-9011255.